The thing with football, the maddening, constant thing, is football is a game of small sample sizes. Even in the NFL, there are only 16 regular season games. While plenty can happen in those 16 games, it only offers a glimpse into what teams are. In college football, the regular season is 75% of an NFL season, and is played by men, boys in some cases, that are 18-23 years old, the age group that insurers cannot find trustworthy enough to insure at a profit. Couple that with the shape of the football – prolate spheroid – and you find college football is a game that can be as random as blackjack. That alone is why what is happening in Tuscaloosa so impressive. It is as if Nick Saban has hacked the game. He is doing more than counting cards. He is also holding back a few aces in the event he needs them. Gambling metaphors aside, football is so random. Every fan base has stories. The one thing leading to glory affirming the greatness of a season. The one thing leading to a heart breaking defeat making a Bad Season. The genius of Nick Saban’s run at Alabama is not the greatness. It is his program nearly always eliminates the need for those stories. They were on the losing side of Auburn’s greatest story. Last year they were on the winning side with 2nd and 26. They were on the losing side of Cardale Jones’ 2nd career start in the 2015 Sugar Bowl. They were on the winning side of Mount Cody in 2009 against Tennessee. Alabama is not immune from randomness, but they certainly balance the lows with the highs. Speaking of small sample sizes, Georgia did the same last year. For that matter, to date, Georgia has done the same this year. 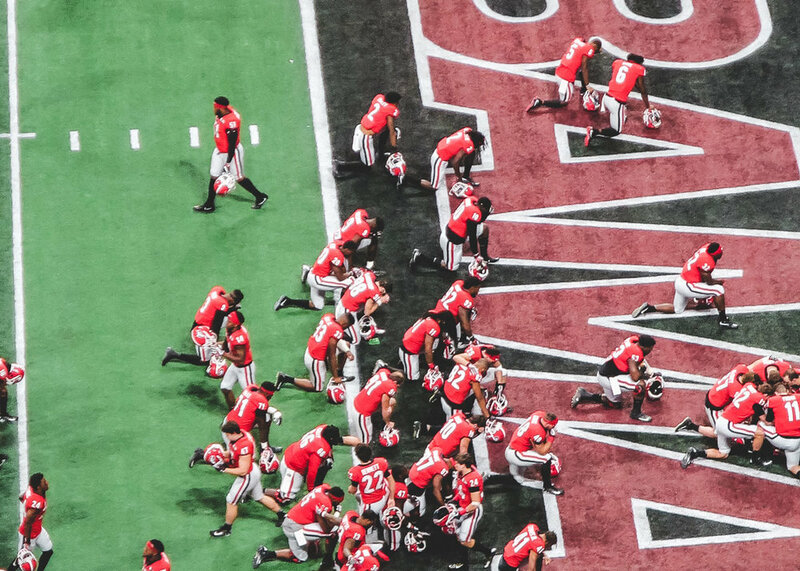 Is this Georgia team that different from the 2017 team? I would posit it is better. Younger, yes, but also more talented, better coached, in better physical condition, and with more upside potential. Yet we still are trying to shake that nagging feeling of not good enough. There is an honest legacy for that. 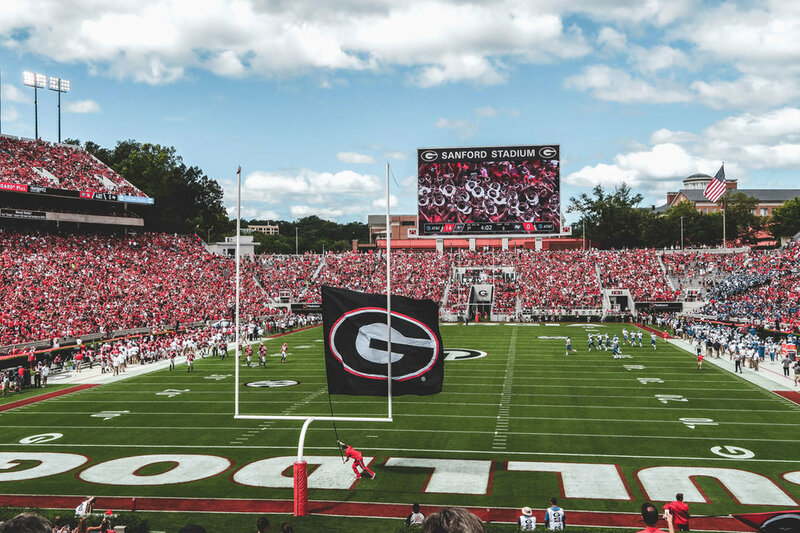 For some time, Georgia has been a college football blue blood, but has not quite been good enough to hang a banner. There was always that one game. That one play. That one decision. We have heard national pundits bringing up that legacy this week. Again, this is fair, though illogical. Losing a National Championship Game in the manner it was lost buys you that rap. Let go of that nagging feeling of doubt. Georgia belongs on this stage. None of this means Georgia will win this game, but Georgia belongs on this stage. Georgia wants Bama. Not in a hubristic way. Not in a boastful way. Georgia wants Bama because it has to. Most people have the narrative wrong about Kirby Smart. Georgia did not hire Kirby Smart to emulate Nick Saban. Georgia hired Kirby Smart to beat Nick Saban. That might happen in the 2018 SEC Championship Game, but it obviously cannot happen unless Georgia plays Alabama. For all the randomness of football on a micro sense, in the macro sense, the best teams usually end up facing each other. We should embrace that reality, because Georgia is one of the best teams in the nation. That inability to control variables was the one thing Georgia lacked in prior years: there was one thing that was controllable, but the program did not quite get a handle on. 2018 Georgia football has a handle on those things. We want Bama because we should want Bama. Win or lose on Saturday, I know I do. Until Georgia takes their place as That Program, all of us should want them. Tony Waller is a co-host of the Waitin’ Since Last Saturday podcast. You can hear Tony, Will and Scott on their Georgia vs Alabama SEC Championship preview podcast here.